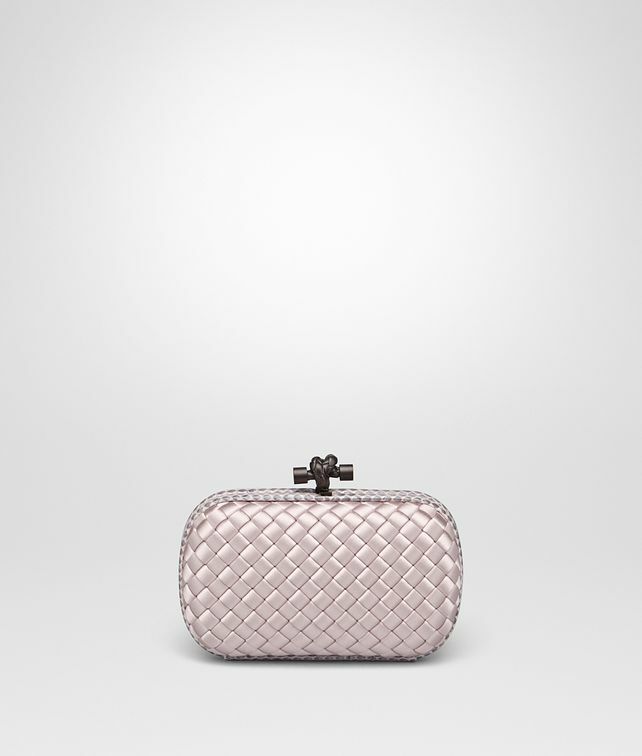 A luxurious combination of textures perfectly complements the elegant, rounded shape of the Knot minaudière. The intricately woven silk is trimmed with ayers leather for a precious tonal combination. The distinctive brunito metal knot-shaped closure, engraved with the intrecciato motif, completes the design.